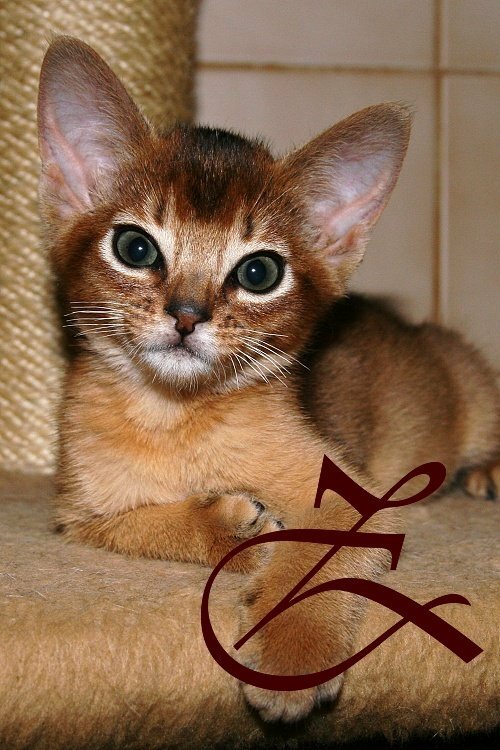 ... of the gods, this i how Denham's from London described Abyssinian cats in their publication (which is also on our web), because the ancestors od Abyssinians were worshiped as children of the gods, by people of the Pharaohs. 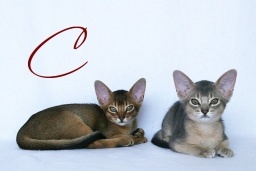 Because we like this title, we are also calling that our section, about raising our Abyssinians. Our Cattery Queen Bastet is offering only kittens with the certificate of origin. 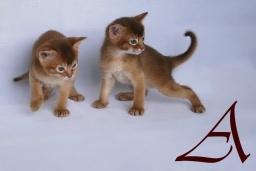 The future owner has a guarantee that the kittens are Abbysians and not some questionable crossbreed. This is not a guarantee to have kittens for show unless they are breeding kittens. Accordingly, with valid legislation, kittens can be taken from their mother not sooner that 92 days old. Kittens are trained to go to a litter box (cat toilet) and use a scratcher. They also have Euro passport (Pet Passport), all needed vaccinations and they have a microchip to prezent from interchange. For the export of kittens they will receive a transfer. Base on that, the future owner can register their kittens with a numer on the chip with some organization providing this service and in case of loss, finding your cat is much better. Any veterinarian can because if the microchip report foundling and that way they will find the registered owner. 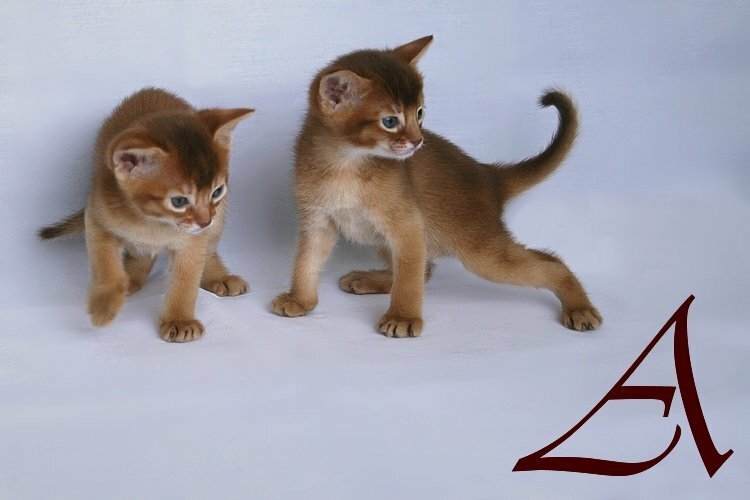 For each kitten the method of marking is. We were born kittens, Three female ruddy. We were born kittens, one female ruddy and one female blue. We were born kittens, one male (sorrel) and two females (ruddy, blue). His parents are CH Issa Little Big Cat and IC Zeus Rosa Glauca. Tom-cat live at Horoměřice (CZ).